I had a dream on 2/22/08 that I want to share with you. Aneta and I were in Colorado Springs. We were in a large room that had both a classroom and a bookstore area. Peter and Doris Wagner are teaching a class over in the classroom section. Aneta and I are off to the side looking at their products. I'm going through these packages that include teaching sets (CDs) with a corresponding manual of sorts to follow. I asked the worker if I could look at the list of all the courses they offered (she had a master list in her hands with all the teachings that they had), but she wouldn't permit me to do so. I could only see what they had in stock there at the store. I see a few by Chuck Pierce and Peter Wagner, but there was one that caught my attention: History & Covenant by Jim Arnold (end of dream). Although it has been over three years since I had this dream, I've mulled upon it many times since. There are times when a particular dream will "stick" over time and seemingly resurfaces at pivotal points. The primary focus of this dream for me has been on the name Jim Arnold—and the teaching, “History & Covenant”. I've been unable to really discern the thrust what the Lord is trying to say through this dream. Yet, I've felt strongly that this person and the teaching, "History & Covenant" is quite significant for this hour. Let me share a little of the insights I’ve gleaned from this journey of seeking the Lord. Last summer on June 3, 2010 I got an email from the ministerial association in Culpeper. For sake of time, I usually don’t read the emails unless something in the subject heading captures my attention as it did on this day—“Death Notice: Jim Arnold”. Immediately my mind went back to the dream I had previously concerning a Jim Arnold. I was greatly saddened to learn of the passing of this man due to a tragic accident. Yet I was encouraged to read that he was active in his church in Culpeper, New Beginnings Worship Center (the pastor, Paula Jones, was instrumental in leading two dear friends of mine in the baptism of the Holy Spirit). Also Jim Arnold was an educated man: he graduated from Georgia Tech with a BS in Electrical Engineering and from the renown MIT with a Master's Degree in Electrical Engineering and Computer Science. A week later I was with my family on vacation at the Outer Banks along with my parents. Out of the blue my dad mentioned that an old colleague of his had recently passed away tragically. Without missing a beat, I blurted, "Jim Arnold?" My dad was somewhat surprised. Indeed it was this person. They had known each other years before when their paths crossed. I was taken back that my dad knew this guy. This whole ordeal inspired me to search more on Jim Arnold and I came across history books by an author of the same name written about the Civil War. These are books for children and early teens—and are quite well done. I ordered three copies (although there were more books). Divided in Two: The Road to Civil War, 1861—This theme of division and union has captivated my thoughts in the past few years. Years ago the Lord sent me in August of ’08 on a prophetic assignment to anoint the headwaters of the Mississippi River and it entailed a whole learning process through the Scriptures concerning division and union. On To Richmond: The Civil War in the East, 1864-1865—Richmond has been frequently mentioned in my dreams; plus this book focuses a lot on Virginia, including the Battle of Bull Run. My prophetic mandate is somehow intricately tied to this historic Battlefield, which is why I relocated my family back to this area in ’09. God is bringing together a white man and a black man to pioneer an apostolic equipping center in the very area that judgment manifested 150 years ago this summer (July 21) at the Battle of Bull Run! Lost Cause: The End of the Civil War—As I write this I’m reminded of a previous dream with Lou Engle back in ’04 prior to his visit to preach at the first Awaken the Dawn conference. 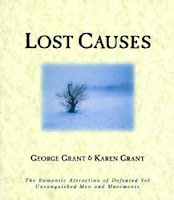 In the dream I told him I’d been praying about a book to get for him called “LOST CAUSES” by George Grant—we walked together into the book store to retrieve it; however, I couldn’t find it and Lou was fixated upon another book about the history of our nation with the subtitles, “DEFINING MOMENTS”. When I awoke from the dream I went to the store to buy that book to give to him at the conference. Obviously the Lord has given me much to chew on. Yet I've felt led by the Lord to share this dream on my blog, which isn't the norm for me. I think perhaps it will bring greater clarity as I'm able to hear from others. Feel free to share in the comments any thoughts you want to communicate.